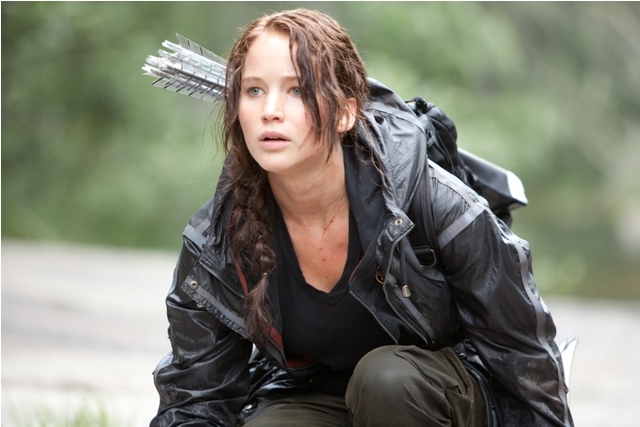 CHICAGO – This 21-image slideshow contains a selection of the Lionsgate-provided official stills from Gary Ross’ “The Hunger Games” with Jennifer Lawrence, Josh Hutcherson, Liam Hemsworth, Woody Harrelson, Stanley Tucci, Elizabeth Banks, Lenny Kravitz, and Donald Sutherland. “Every year in the ruins of what was once North America, the evil Capitol of the nation of Panem forces each of its twelve districts to send a teenage boy and girl to compete in the Hunger Games. A twisted punishment for a past uprising and an ongoing government intimidation tactic, The Hunger Games are a nationally televised event in which “Tributes” must fight with one another until one survivor remains. You can click “Next” and “Previous” to scan through this slideshow or jump directly to individual photos with the captioned links below. All photos courtesy of Lionsgate and credited to Murray Close. All Rights Reserved.